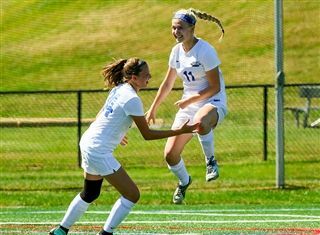 The girls' soccer team has been chosen by NJ.com as a contender for the Non-Public B sectional title. The Knights have made it to the sectional semifinals the past two seasons and return a talented roster this fall. Stay tuned as the girls look to gain their first state title in school history! Read the full article on NJ.com.